Here I am listing things I have found to help out those who are currently going without pay due to the current government shutdown. I will try to keep this updated and organized. If you have any sources for help that are not listed here, please send them to Chris@dashofscience.com and I will add them to the list. Most financial institutions are also offering fee reversal, and skip payment options, so please be sure to call your bank and ask for options. Paypal Credit $250-$500 0% interest Cash Advance for new and existing customers. 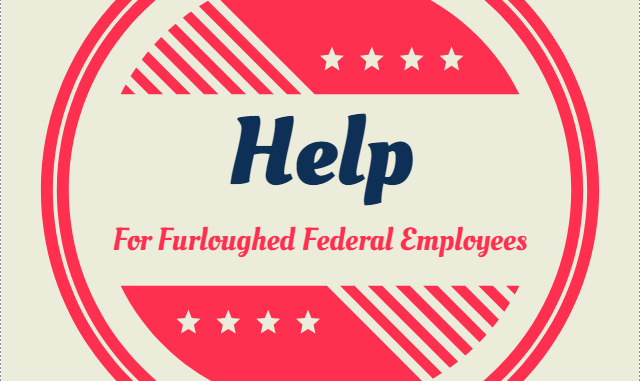 USAA offers special shutdown loans for Coast Guard, Coast Guard Reserve, National Oceanic and Atmospheric Administration Crop, and the Public Health Service Corps and spouses with accounts. NASA JSC:JSC Federal Credit Union Furlough Loan Program $6,000 0% APR, per missed pay period. NASA KSC: Space Coast Credit Union 0% loan up to 1 month of net pay for 12 months. NASA ARC: Menlo Survey Federal Credit Union Emergency Loan $2,500 per missed check 2.5% APR 12 months. Interest waived if repaid within 60 days of government reopening. NASA AFRC: Logix Federal Credit Union Emergency Unsecured loan up to $5,000 for 12 months. APR dependent on credit prior to shutdown. NASA GRC:Century Federal Credit Union – current members eligible for $10,000 loan at reduced interest rate of 3%, and Credit Card limit increases up to $10,000 at no increased interest. 17Jan2019 Rep. T.J. Cox introduced the Immediate Financial Relief for Federal Employees Act, which if passed will require the Treasury Department to issue loans to furloughed federal workers with no accrued interest. More than 80 lawmakers have co-sponsored. 10Jan2019 Sen. Martha McSally has sponsored legislation S.111 to provide continuing appropriations for employees of the department of Homeland Security and Justice in the event of shutdowns. Currently has 18 co-sponsors. Joint resolution introduced to house by Rep. Nina Lowey which as been passed and sent to the Senate floor. Bipartisan efforts by both House and Senate have reintroduced legislation called the Government Employee Fair Treatment Act, which will guarantee retroactive pay for federal employees at the soonest date possible – regardless of scheduled pay dates. This bill has passed and been signed into law by President Donald Trump as of 16Jan2019.